Local gardeners, fruit growers, and permaculture practitioners are invited to attend, learn about and practice techniques of grafting fruit trees at this “hands-on” public workshop, led by Dr. Joseph Sabol, Nell Wade and other volunteer experts from the Central Coast chapter of the California Rare Fruit Growers (CRFG). 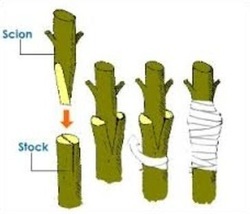 You will learn how to graft various types of "prunings" from locally growing apple trees to rootstock, all provided by these local CRFG workshop leaders. No grafting experience is necessary and it is not hard and lots of fun to learn. Rootstock for apple trees will be available for $3.00 per root and all proceeds used to support the volunteer activities of this CRFG chapter. Join in for Part I of the Garden Permablitz! 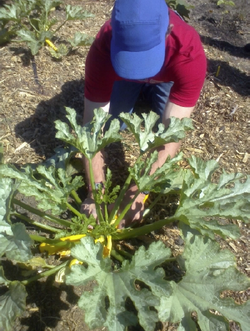 On June 27 we are currently planning on planting the summer garden within the Global Children’s Garden at SLO City Farm. 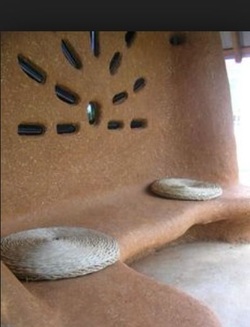 The Natural Building methods that will be used in this Permablitz Workshop might consist of cob, earthbag/superadobe, urbanite with earthen mortar, & straw-bale depending on the interests of the client owner or organization and the SLO Permaculture Team. Join in for Part II of the Garden Permablitz! 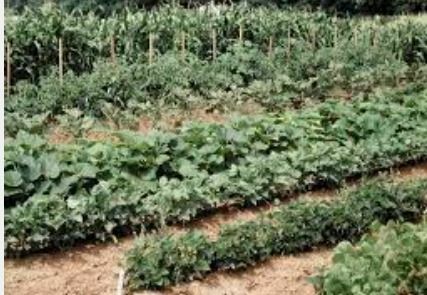 On August 22, we are currently planning on designing and planting a perennial garden consisting of representative vegetables from other parts of the world within the Global Children’s Garden at SLO City Farm.